Toyota’s fabled mid-size pickup truck, the Hilux has an unprecedented reputation on the global market thanks to its go-anywhere capability and reliability. In its about half century-long run, the model also earned the attributes such as “unbreakable”. However, it has become hotter than ever in the mid-size global market with the recent appearing of the new and upgraded models. Mercedes entered the segment and the Ford Ranger is more refined and equipped than ever. The ranger Raptor is also available and VW Amarok is also up-to-date. 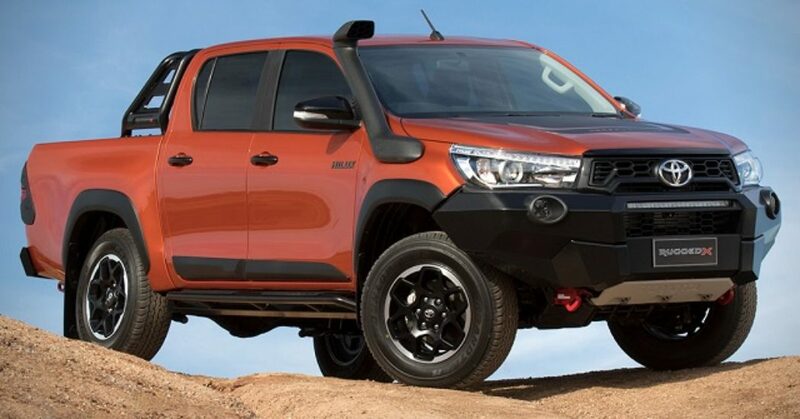 The Hilux was all-new for the 2015 model year and Toyota recently introduced new versions for some markets. 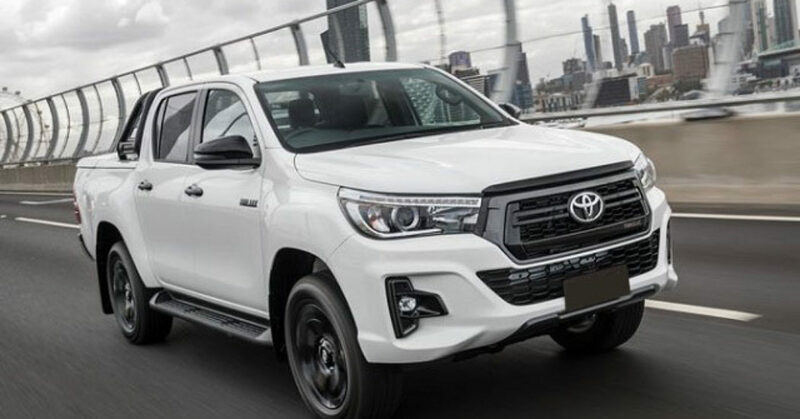 Uniquely styled and equipped models debuted for Thai market at the end of 2017 and Australia has got three new more rugged variants in the dual cab form and with the standard all-wheel drive. These models arrived for the 2018 model year and other markets should also get new variants for the 2019 Toyota Hilux model. The ubiquitous Hilux also gets unique equipment packages depending on the market and the level of the available equipment also varies from the country to country. The mighty Hilux got the improved chassis and suspension components and new diesel engine for the 2015 model redesign while also altered the exterior and interior designs. The new version won’t go with the deep changes but the new variants will bring unique styling and upgrades. The changes and style will vary on the 2019 Toyota Hilux depending on the market. However, the new version will sit higher in the hierarchy than the current trim options which will stay in the familiar form. The new Hilux will keep the familiar shape of the headlights and the style of the signature LEDs. The grille in the new versions will, however, come in the new style, similarly shaped as the one on the US Tacoma. The size is somewhat reduced and the grille finish will change with the trim option. The fog lights will also appear in different form and orientation deepening on the version. The Rugged model will integrate the 17-inch alloys with all-terrain tires, snorkel, black sports bar, side rock rails, black lower body moldings, rear side recovery points, hood decals, appropriate badging, underbody protection, etc. The Rugged X will build on the high-spec SR5 version with LED headlights and LED DRLs, unique front bumper and wheels plus the badging and decals. The Rogue version will boast premium style with 18-inch alloys, sleeker grille and front bumper version, gray exterior accents, etc. Similar forms should appear on other markets with distinct upgrades. Inside the cabin, the Hilux won’t change the familiar asymmetric dash design and overall feel. The model uses durable and appealing materials and textures and also has good sound insulation. The new version will have unique interior themes. Expect to see the black leather with contrasting stitching, metallic black accents, black roof headliner and unique instrument cluster in one of the new versions. Other options will also have uniquely styled interiors and new models will appear in the dual-cab form only. As for the equipment offer, all Hilux model will include electric windows, power steering, at least six speakers, touchscreen, DAB radio, USB and Bluetooth, etc. Upper grades will bring leather upholstery, heated and power adjustable front seats, dual-zone climate control, larger screen, upgraded instrument cluster, etc. The availability of the advanced safety equipment will vary depending on the market. All models will include seven airbags, a rearview camera, electronic stability control, trailer sway control, etc. It’s not clear would Toyota offer advanced safety equipment in all markets but some will certainly get the Safety Sense package. What will you be able to get under the hood of the 2019 Toyota Hilux will again depend on the market. But we don’t expect new options. The Hilux will get power from the 2.7- liter petrol unit rated at 122kW (163 hp) and torque of 245 Nm. This engine will be in the combination five-speed manual or six-speed automatic transmission. The smaller 2.4-liter turbodiesel will produce 110 kW(147 hp) and torque of 400Nm with all-wheel drive. It will get the manual and automatic transmission options as well. The most capable and newest 2.8-liter turbodiesel will provide 130 kW (174 hp) and max torque of 450 Nm with the six-speed auto gearbox. The manual shifter will make 420 Nm of torque. The Hilux will match the class best 3, 500 kg of the towing capacity in some versions. The payload will stay around 1, 055 kg. The 2019 Toyota Hilux will appear in the second period of the year. The price won’t vary much from the currently available range built new version will get their unique price. More details will be clearer closer to the launch date. Hello, My name is Adam, I’m living in the USA, and I will love to have one of the 2019 Toyota Hilux, but I don’t know how!!!!. Is there any way I can buy one and shepp to USA?